Happy Place is a colorful new pop-up museum located in the heart of the Los Angeles Arts District and will be open until Jan.7, 2018. With it’s grand opening in Los Angeles, Happy Place is an interactive museum created for an abundance of fun and photo opportunities. Recently, the arts have merged into a new realm of business, focusing on specific themes and interactive museums from Happy Place to the Museum of Ice Cream to the Broad to the Museum of Neon Art. Los Angeles is no stranger to museums with the primary purpose of capturing a perfect Instagram photo. Happy Place is the newest museum addition ton Los Angeles featuring 13 exhibits designed to “capture your happy,” as the museum’s motto says. 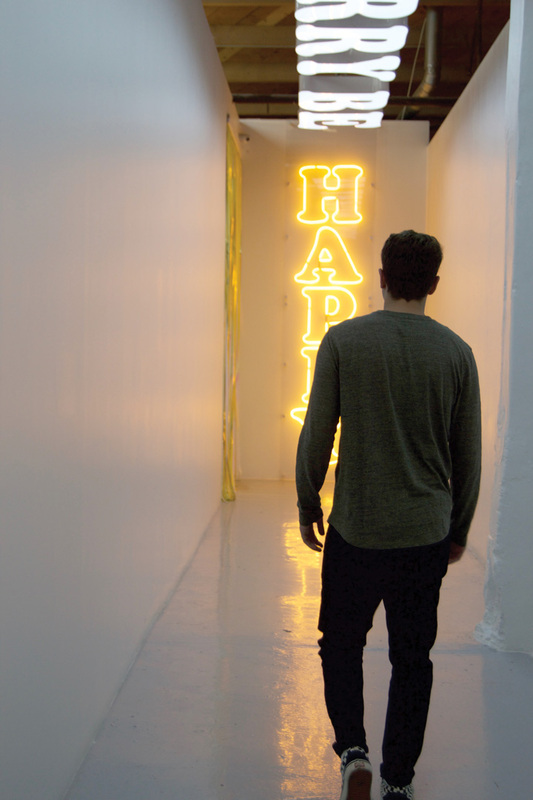 All of the exhibits are divided into different rooms, each with a specific theme centered around the overall idea of being happy. People who enter Happy Place are led through a building containing many rooms filled with yellow flowers all around, a giant dome of confetti swirling around in mid-air, an enormous birthday cake big enough to climb, oversized yellow high heels made of candy, and even a giant rainbow accompanied with a bucket of gold into which people can jump. With upbeat pop hits playing in the background, excited Happy Place employees hand out cake pops and M&M’s. Rainbow-grilled cheese sandwiches are sold immediately upon exiting the museum along with ice-cold lemonade and more Happy Place merchandise. Happy Place museum encourages its visitors to take as many photos in each room as they wish because once visitors move into a new room, they are not allowed to go back to a room they already visited. The interactive museum offers multiple opportunities to create a custom GIF in each room that the museum will record and email to its visitors. This feature allows visitors to take live photos shareable to most social-media outlets. This interactive museum’s mission is to brighten every single visitor’s day at least a little bit when he or she experiences the joy the business has to offer.